There is a large variety when it comes to pricing on pearls and people are often fooled but what defines quality in gemstones and diamonds. Pearls are classic and traditional and are easily graded, so easy to know what it is you are paying for. Price depends on the size, color, type, luster and nacre. Educate yourself here with all these aspects. Real pearls are considerably pricier than faux pearls; however the difference in look makes it all worthwhile. Cultured pearls are more expensive than freshwater pearls, and perfectly round pearls are rarer and therefore pricier than odd shaped and baroque pearls. 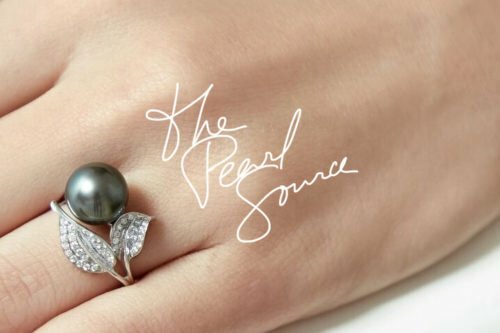 And whilst pearl jewelry can go into the thousands of dollars range, there are necklaces, bracelets, rings and earrings that are affordable and look way more costly than they are in reality. As a rule, The Pearl Source has affordable prices all of which are much cheaper than what you would pay for the same piece anywhere else. Black akoya studs carry the modesty and traditionalism of the pearl stud earring with a modern, funky twist in the coloring. Dangling Akoya Pearl earring with hints of gold stardust, these make the perfect present to the feminine, always put together woman. White Freshwater pearl set includes earring and a necklace at an amazing price; perfect for the woman who loves to match and coordinate. A Uniform peach bracelet stands out for its distinct colors yet is subtle as a bracelet as opposed to a necklace for the timid pearl wearer who desires to go out of the box. Black Akoya Pearl Bracelet for the modern woman who loves pearls but wished for a more current look. Edginess of color and classiness of pearls is the perfect combination. This pendant is perfect for the necklace lover who feels overwhelmed by a full strand of Tahitian pearls but still wants to rock them! The perfect unisex gift for the male who love pearls or the tomboy girl who can rock pearls in her own spunky way. This gorgeous pendant is the ultimate gift for any woman. Subtle enough for some and glitzy enough for others, this Akoya pendant can be worn with a low cut evening dress or a high necked blouse and always grab the attention of others. What Are Pearl Drop Earrings And When Should You Wear Them?